The one wrestler who is most effected by the Authority angle, more so than Daniel Bryan is CM Punk. With no true angle in the aftermath of the Paul Heyman feud, the WWE scored another zero by putting one of the best performers in the company in an angle that has shown to have no real meaning story-wise. If you count taking Daniel Bryan from the highest pinnacle of success to possibly the lowest point the could be at with Wyatt Family, then you have an angle where maybe this is a punishment for the company’s two greatest lone wolves who define the establishment. In doing so, the “devil” Bray Wyatt continues to talk about had better be Vince McMahon – or he and Paul Heyman. Anyone else would be a serious letdown for myself and the WWE Universe. But right now, CM Punk has in effect become the one thing he swore in his numerous vignettes and promos – a puppet of the company. 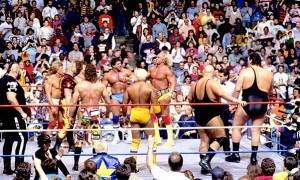 Recently, the WWE has done a severe 180 degree turn in who is part of the WWE title picture. Not only is the company looking to take a step back and follow Vince’s master plan from the 1980s of big hulking muscle men or the bigger the better principle. Somehow, I do not see either Punk or Bryan in that category. When Punk delivered his now famous “shoot” interview, we saw a cocky, brash, arrogant and superstar who peaked at just the right time. 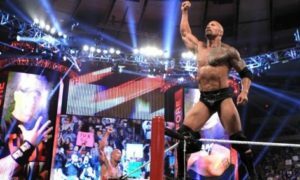 He and John Cena caught lightning in a bottle and at the time the feud was as hot at The Rock and Steve Austin at the height of its popularity. The problem with Punk – in reality – is he needs a counterpart of evil like Heyman or sensibility – like Cena to make him great, Take away the outside influences like Ryback, Curtis Axel, Vince McMahon and Kevin Nash. Add to it the fact that a Punk that is a face holding a title is a weaker character than a heel-turned, title-holding Punk. Even when he is chasing the title, Punk is better than the opponent holding the title. Unless you are Cena and Bryan and then you have Punk’s equal in the ring. How many times are we going to see Kofi Kingston and The Miz get in the ring and put on a show – as tag team partners or against each other – then see one or both of them turn on one another? The two have been stuck in some kind of purgatory for over a year. The Miz is not the same character as a face and Kingston has not been the same since he an R-Truth broke up as a tag team. Together, they are dynamic and put on a huge show. If the two do not stay in a program and decide to finally become a viable tag team, that is a major plus for the WWE. I would also like to see The Miz and Dean Ambrose go at it with the United States Title on the line. The WWE had better figure out what to do with Ambrose, Miz, Dolph Ziggler and others for 2014. There is too much talent being wasted. And if anyone is listening, someone in creative needs to find a way to do two things – find a way for Goldust and Cody Rhodes to feud and to create more singles matches for both Roman Reigns and Titus O’Neal.